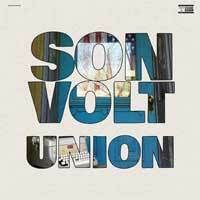 This week’s smashers start off with Hundred Records favourites Son Volt, whose new album, Union, showcases more of the pain of division, while still taking time to spotlight music’s ability to heal and offer respite from troubling sociopolitical times. “There are so many forces driving our country apart,” says founding member Jay Farrar. “What can we do to bring our society back together?” To answer that question, Son Volt delve deep into a batch of songs steeped in the history of protest music, both thematically and symbolically. Several of Union’s 13 tracks were recorded at locations Farrar views as important to America’s history. 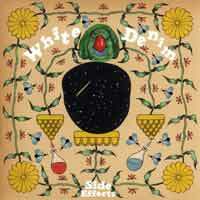 Side Effects is the eighth studio album by White Denim, and it’s more in line with the experimental, freewheeling spirit of Last Day of Summer than anything else they’ve released since. This is a record that captures the essence of the band’s full-throttle live shows, and features a rotating cast of band members led by James Petralli and Steve Terebecki. The tracks on Side Effects draw on the sounds of different personnel to create a cohesive whole – the result being an album that’s as varied and vivacious as anything they’ve ever done. Billie Eilish’s meteoric rise to global stardom has been nothing short of phenomenal, and is arguably unparalleled to date. Since her debut single ‘Ocean Eyes’ in 2016, Billie has quietly yet unapologetically infiltrated the forefront of pop. When We All Fall Asleep, Where Do We Go? 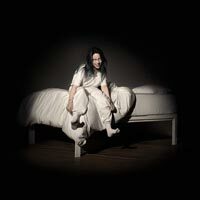 was written, produced and recorded entirely by 17-year-old Billie and brother Finneass. The pair spent most of 2018 writing songs on the road, then spent many days and nights at home, recording the album. In 1974, the nineteen-year-old Steve Earle had just hitch-hiked from San Antonio to Nashville. 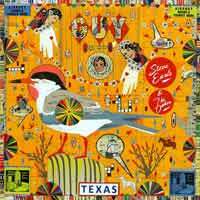 Steve started playing bass guitar in Guy Clark’s band and was soon flying high on what would become an indelible friendship of like-minded musicians who bonded in a kinship of stories told through song. Flash forward more than forty years to May 2016, when Guy succumbed to lymphoma after a long battle. He had lived with the disease and continued to write songs until the day he died. He also painted, built instruments and owned a guitar shop in the Bay area. According to Earle, “You hung around with Guy and knew why they call what artists do disciplines. Because he was disciplined.” The same can be said of Earle. In the autumn of 2018, Steve and The Dukes went into House Of Blues studio in Nashville and recorded their tribute, Guy. 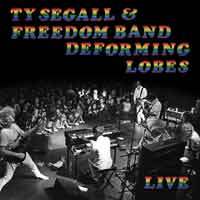 Deforming Lobes captures The Freedom Band in fiery flight, igniting a handful of songs from Ty Segall’s catalogue in a live performance at LA’s Teragram Ballroom. The band explores everything with unrestrained curiosity and zeal, never losing their collective bond with the audience. For the album, analogue recordings supervised by Steve Albini present the band somehow even more brutally front and centre, redefining the physical experience of witnessing the concert in person. 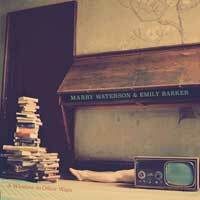 Our album of the week just has to be the collaboration between English folk royalty and Australian soul in Marry Waterson & Emily Barker. English folk singer Marry Waterson is the daughter of Lal and a member of the famous folk music family The Watersons. Emily Barker is an Australian singer/songwriter whose music you may have heard on the UK version of crime drama ‘Wallander’ even if you don’t already know her name. The pair met at a songwriting retreat run by Kathryn Williams. Their first album together, A Window To Other Ways, has thrown up a mixture of styles from the obvious folk, with country, soul, blues and indie, and is a fabulous album full of fly-on-the-wall observations of the contradictions and disconnections of modern life. Oh, and they are only going to be performing live at Hundred Records on Thursday 11 April at 6pm! Pre-order a copy of the album to guarantee entry on what is bound to be an extraordinary evening.